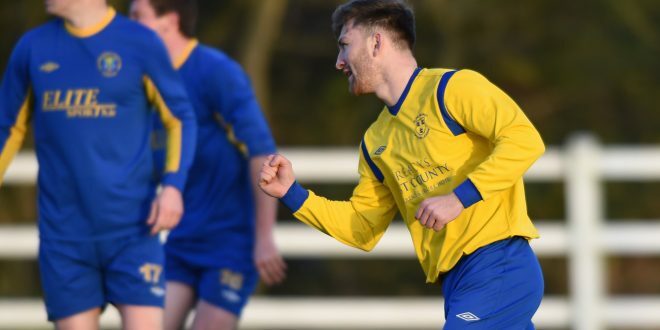 Tommy Mc Keon of Clare celebrates his equalising goal against Roscommon during their Oscar Traynor game in Frank Healy park, Doora. Photograph by John Kelly. 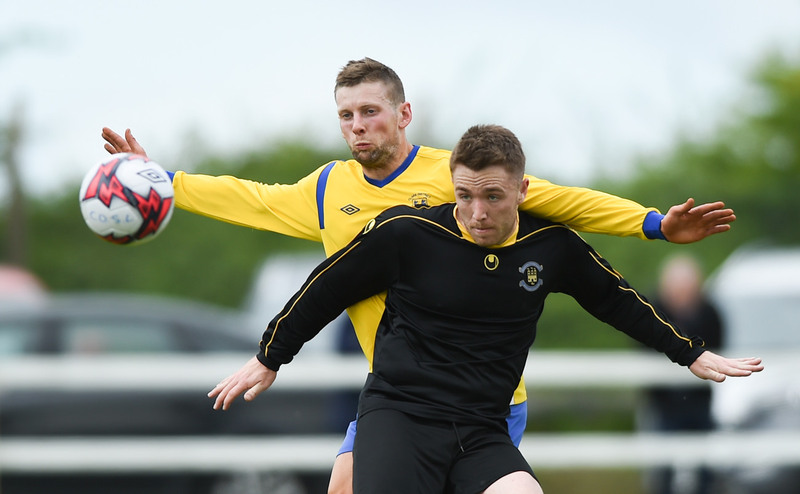 Title holders Clare are through to the quarter finals of the Oscar Traynor inter league junior soccer competition having sealed their place in the last eight with this draw with Roscommon at Frank Healy park this afternoon. The win also means that Clare are unbeaten in competitive action in 2016, something which has pleased their manager Donie Garrihy. For much of this afternoon’s game, Clare struggled and a share of the spoils didn’t look likely as the visitors dictated matters. 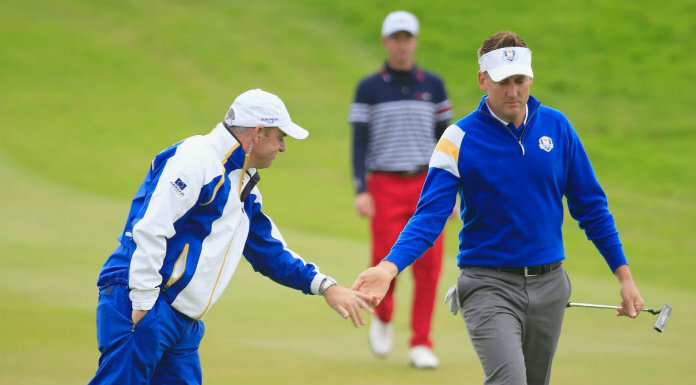 Roscommon came to Ennis needing at least a draw to progress to the knock out stage of the competition. They took the lead midway through the opening half when Ronan Curran drilled the ball low past Barry Ryan in the Clare goal. 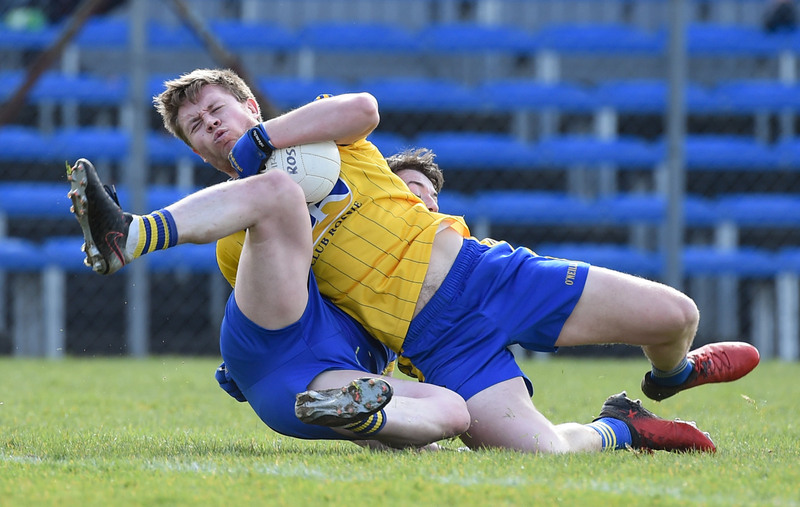 The home side’s goalie, captain on the day in the absence of the injured Stephen Kelly, produced a couple of good saves to prevent Roscommon from increasing their advantage. Fifteen minutes from the end Clare moved Eoin O’Brien forward from his full back role and they also introduced Tommy McKeown and both these changes played a key part in the home side levelling the game. McKeown was in the game just two minutes when he pounced after the visitors goalie Noel Fallon had failed to hold the ball from an Eoin O’Brien delivery. McKeown’s effort on goal hit the upright and rebounded where it hit Fallon and ended up in the net eight minutes from the end of normal time. “They had everything to lose and thats the way we e xpected them to play. We expected we would have to go to the 95th or 96th minute to get a result here. Its not a suarprise to us. Roscommon are two years on this project and they are improving all the time and we knew this was coming. Barry made a couple of good saves and their goalie made a very good save in the first forty five seconds. It levels off over a game. We are unbeaten in 2016 and we are happy”, commented the Clare manager Donie Garrihy. The Moher Celtic man said that he was delighted with the result but acknowledged that improvement is required. “We had to earn this result, you have to earn things and I believe we deserved this”. Subs; Brian Monaghan for Collins; Tommy McKeown for McCarthy. Roscomon; Noel Fallon; Gary Canavan, Jack Higgins, Enda Kenny, Joe Woods; Dominick Bluagh, Dan Hope, Ronan Curran, Peter Fennell, Dara Concannon, Andy Neville.